If you’re looking for hope for the future, look no further than the finalists for the prestigious Regeneron Science Talent Search. Five Long Island high school students are among the 40 awardees announced this week. Their successes are a testament to their teachers and support systems, and a credit to the region: More than half of New York’s finalists were from Nassau and Suffolk counties, and New York had the most finalists of any state. Moreover, the students’ work is a vibrant display of curiosity, creativity and perseverance that someday may benefit Long Island and well beyond. There was 17-year-old Ahmad Perez’s investigation into erosion and restoration in two Long Island salt marshes. 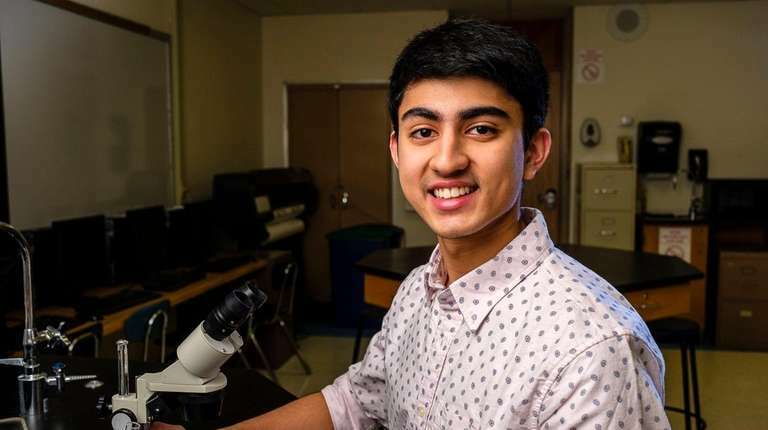 There was 18-year-old Madhav Subramanian’s work on blood vessels and cancer tumors. Sixteen-year-old Eish Maheshwari explored nanoparticles and red blood cells, and Thomas Lam, 17, brought us an ingenious math puzzle. And in the category of blast-worthy science, Justin Schiavo, 18, sought to design parts for a hybrid rocket engine that might make space travel a little cheaper. We all can do with some more bold thinking and patient attention to detail, whether we’re considering the depths of the solar system or the complicated makeup of the human body. These students should be applauded for their efforts and dedication, as should all the Long Island students who gave the contest a shot as they expanded their understanding of the scientific process. Hopefully, it lit an enduring spark.